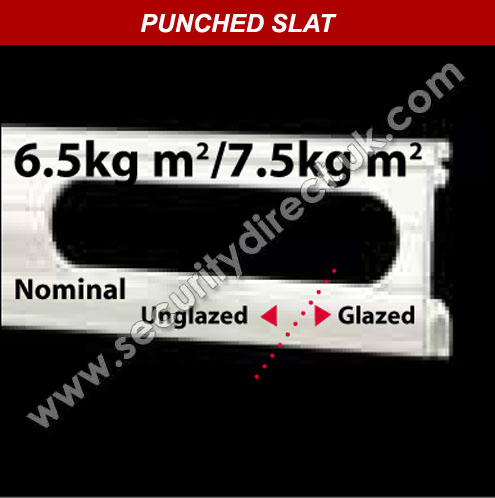 The Qompact Security Roller Shutter uses a 25% smaller shutter box housing, compared to any Roller Shutter. The very small box measuring just 165mm up to a height of 2.5m!! Before the Qompact Shutter, the smallest shutter box on a height of 2.5m was 205mm, with Qompact saving 40mm headroom. This can make a big difference when headroom is limited. The Qompact is available with Solid or Perforated lath profiles, which can mixed to provide security and vision. Ideal for use in domestic premises, schools, medium security offices, retailers, bars and serveries, these shutters are made from high-grade aluminium in a variety of widths and heights, allowing you durability you can count on in the right dimensions for your premises. 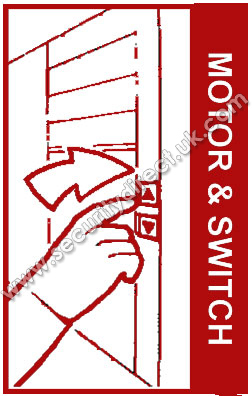 The Qompact uses a shutter box 25% smaller than any other shutter, ideal for restricted headroom. Powder Coated White (RAL9016), Silver (RAL9006) and Anthracite (RAL7016) as standard, other BS or Ral Colours available at an extra cost. 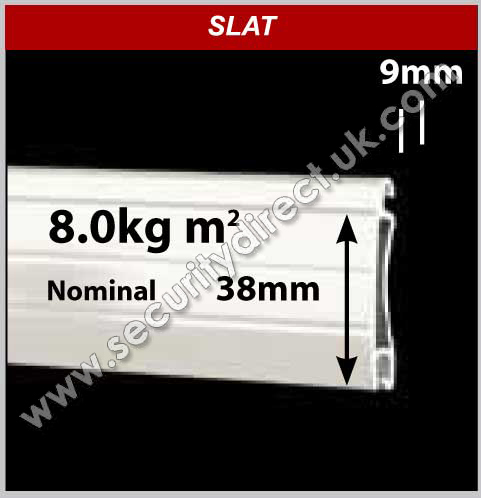 The standard RA4 Lath is a double skin extruded Aluminium non vented slat fitted with anti vandal wind locks. 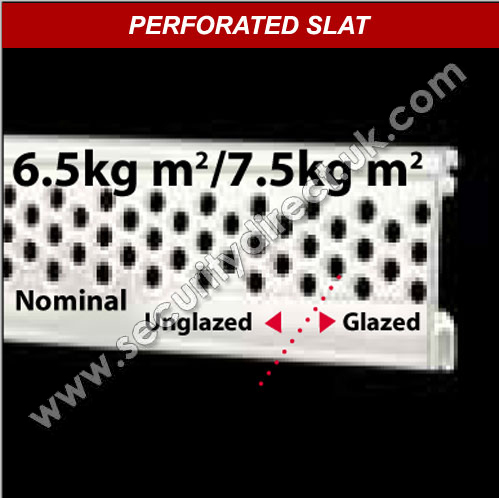 Punched and Perforated Laths are available at an additional cost. Roll formed Aluminium in two sections; top and bottom boxes. 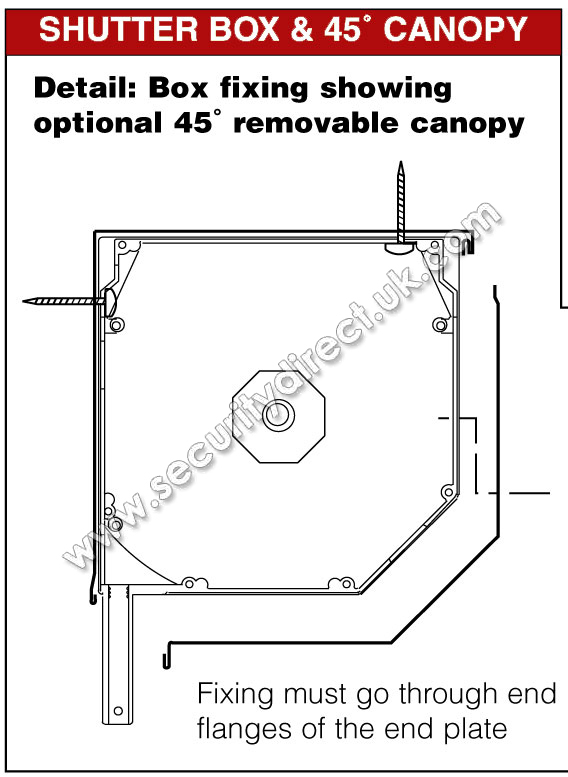 Bottom Box removable for installation and maintenance and is chamfered at 45o. The shutter box is assembled on steel endplates. 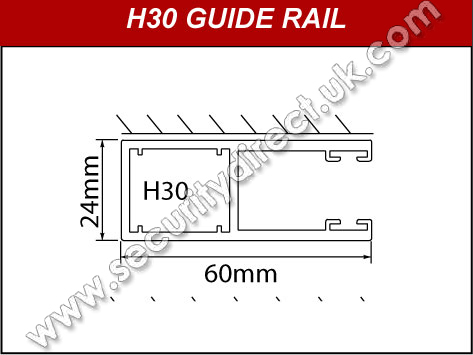 The standard Guide rail is the H30 Extruded Aluminium Guide with an integral box section for reinforcement and to facilitate fixing. High density 5mm pile brush seals for quiet and smooth operation. 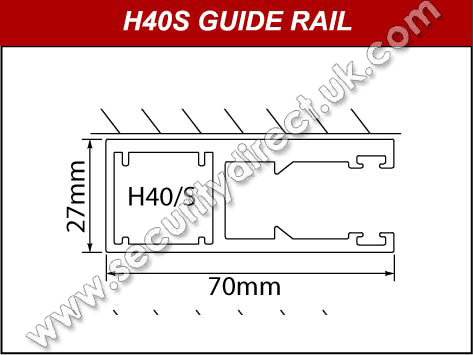 The H40/S Guide rail is the Heavy Duty Guide which has Wind Locks and is an extra cost.